Simplified user experience with a clear intensity readout from the angled three-digit display and easy setup with responsive buttons. 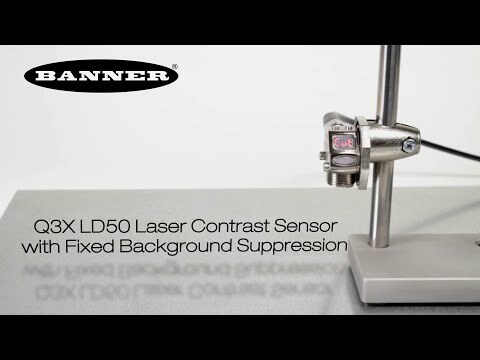 Solves challenging part-detection applications with small contrast differences. Short-range models available with background suppression capability. 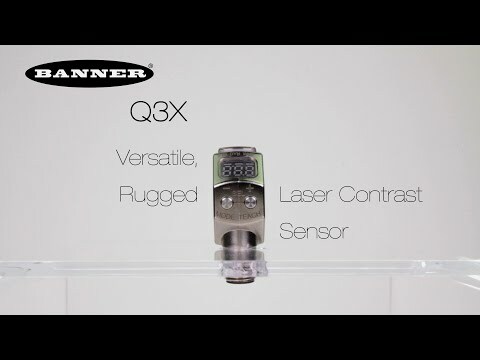 Ideal for high-speed part detection as fast as 250 µs, capturing up to 2,000 events per second. Ideal for presence/ absence detection or part orientation detection. High performance contrast detection can detect small changes in contrast up to 300 mm.